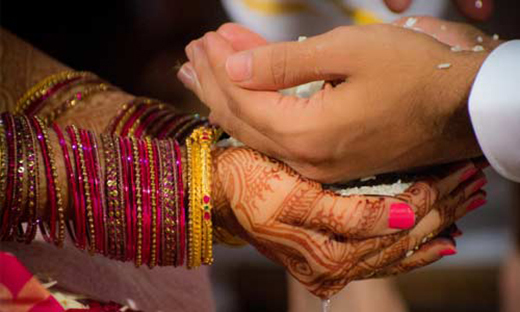 New Delhi, Dec 06, 2017 : Hoping to encourage inter-caste marriages, the Narendra Modi government will give a Rs. 2.5 lakh incentive to couples where either the bride or groom is a Dalit irrespective of their income. But they will get the money in two instalments to minimize possibility of fraud. "The condition that the total income of the newly-wedded couple will not exceed Rs. 5 lakh per annum has been deleted... There will be no income limit for incentive under the scheme," a letter by the social justice ministry’s Dr Ambedkar Foundation to state governments has said. The foundation has also cut the lengthy procedures that required state governments to process requests and allowed the district administration to directly seek approval from the centre. Under the new rule, the couple will get Rs. 1.5 lakh after the foundation clears the request for incentive to "enable them to settle down in the initial phase of their married life". An amount of Rs. 1 lakh will be deposited in their joint bank account but the money can be withdrawn only after three years. The order issued in October this year did not indicate why the income ceiling had been removed. But official statistics indicate that a lukewarm response to the scheme launched a few years earlier could have prompted the change. When the scheme was launched in 2013, the government had expected a much larger number of couples to queue up and had capped the number of beneficiaries to 500 annually. But only 116 couples got the money from the government in the last three years.